According to a recent post on Facebook blog, Facebook has over 150 million users actively accessing the worlds largest social networking site via mobile devices. Out of those 150 million active mobile users, “Facebook for iPhone” accounts for a staggering 100 million users per month. Now that is as much as the number of iOS based devices (iPhone, iPad and iPod touch) sold by Apple as per June of this year. What this means is that there is a “Facebook for iPhone” app installed on almost every iOS device ever sold! 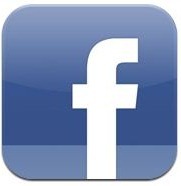 The Facebook application is by far the most important application on both the iPhone and the iPad. Without the Facebook application, my own opinion is the iPhone would never have become as important as it is. It’s the single most widely used application. It’s so heavily used compared to other apps that I have been told by someone who thought he knew the data — this is highly secret data and I don’t know the actual numbers — that more than half of all usage of the iPhone of apps, other than those provided by the phone itself like telephony and email, is coming from Facebook. And on the iPad, too, it’s just a huge, huge part of usage. So in a way, Apple and Facebook are joined at the hip, and I think that’s one reason why Zuckerberg and Jobs have been spending time together. You will only count as one user though. I have it installed but hate it. Has to be one of the worst designed apps I have. Love facebook love the iPhone but the Facebook iPhone App is really bad, unreliable uploads, bag organization, bad all around. The facebook i-development team are slow – they still haven’t released an iPad version of their app. Functionality is severely missing.. As Ilipton5001 said, “Friendly” is a FAR superior app for ipad users. But not on my iPhone and i so intent to keep it that way! No Facebook in my world on any of my seven Apple devices. I prefer to keep my world private! I didn’t install it… I do not use Facebook oO And I think many people here in Germany also do not use it. A social network called “studiVZ/meinVZ” is much more popular here and they have more members than Facebook here in Germany. So I quite don’t believe, that “almoste everyone” has that App. I don’t have it installed on my iphone. I’m pretty sure they count every download, not user. The only thing I use my iPod touch for is remote for movies… Nothing else. But I bet you did install it once!